Mawbanna is a small town south of Stanley in Tasmania's north-west. 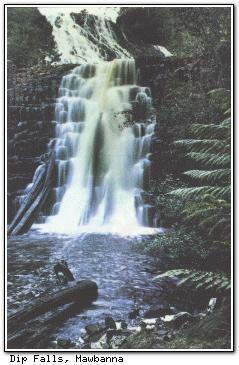 The main attraction near Mawbanna is Dip Falls (pictured), a double-waterfall which cascades into dense rainforest. Some of the largest trees in the state are located near the falls; also in the area are the Milkshakes Reserve and Black River Reserve picnic areas.